Palisades Toys & Wizard Entertainment introduces the first ever Palisades action figures for the Top Cow Universe! Palisades has taken the most popular characters from the smash hit comics group Top Cow and created them in a fully animated style. These Witchblade: animated figures feature multiple points of articulation and all the attention to detail you've come to expect from Palisades. Witchblade, Magdalena and Darkness round out the three figure assortment. 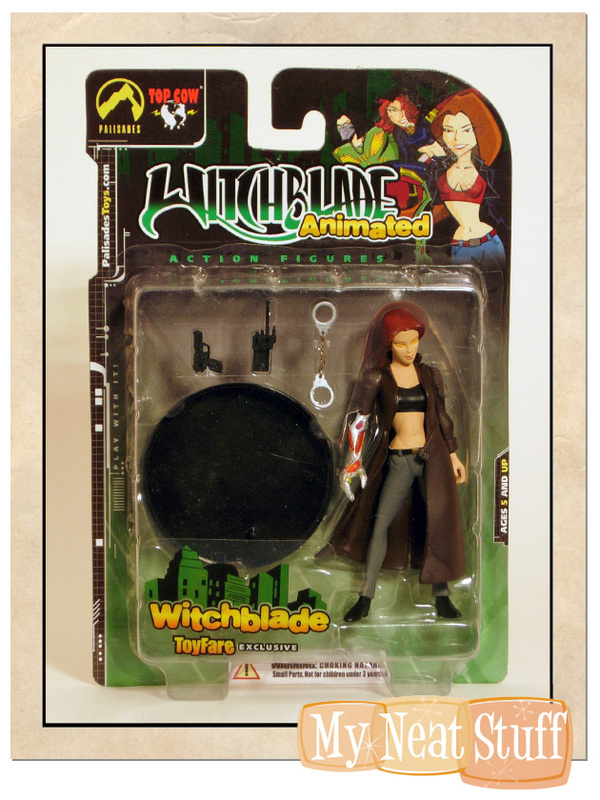 This Witchblade exclusive has a trench coat (standard version has a short jacket). Also, the Toy Fare exclusive version has a black top and grey pants (while the standard version has a red top and blue pants).